Saddle Fit | Bad Horse? More like "Bad Saddle!" Many people agree with the statement that ‘horses do not consciously behave badly’. 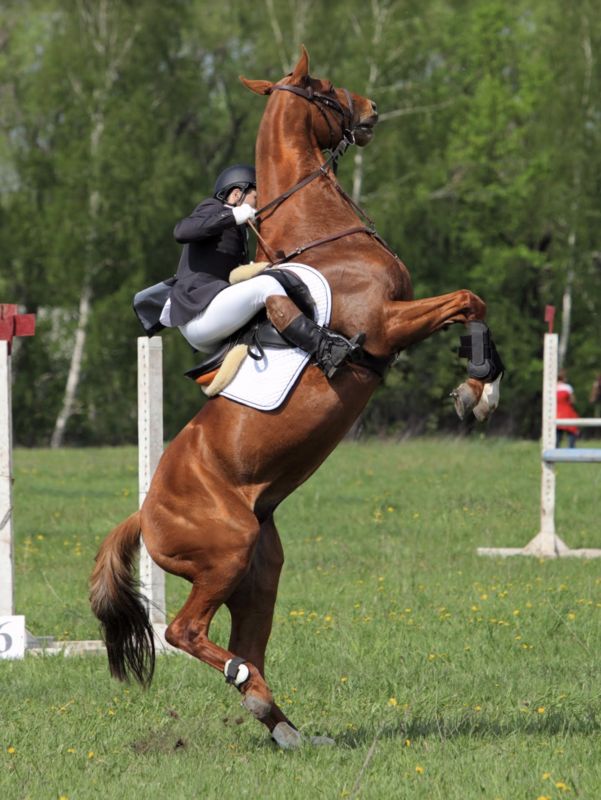 They react to outside stimuli – either a poorly-fitting saddle or an untrained rider can cause these kinds of behaviours. How and where a rider’s weight is carried can make a huge difference in how a horse behaves, and a horse can quickly become dangerous when aids are misunderstood or mishandled. Sometimes horses will develop resistant or evasive behaviours because the handler does not know how to get what he/she is asking for, but remember that this does not make a ‘bad horse’ – it’s simply a horse behaving badly! Some of the ‘strategic behaviours’ horses have adopted have developed into what humans denote as ‘stereotypical’ – but these are not vices, as vices would infer that the horse is at fault. There has been a proliferation of articles appearing over the past year in all sorts of publications discussing “how to slow down the rushing horse,” “how to ride the stumble out of your horse,” “how to make your horse go forward,” how to, how to, how to. All of these negative and unwanted ‘behaviours’ of your horse may actually be due to something as simple as a poorly fitting saddle which impacts the reflex points and causes simple instinctive reactions rather than conscious behaviours. But these articles all seem to point to the fact that these indicators are a result of rider error, and attempt to address corrections by either offering solutions to change rider behaviour, or – more drastically – calling in a vet to administer pharmaceuticals to address the issues. 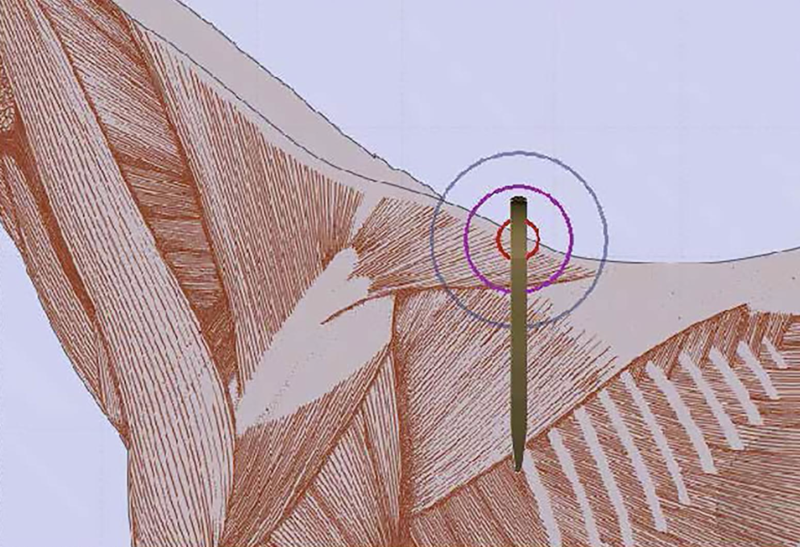 If the saddle puts pressure on the reflex points along the spine because of a narrow gullet channel, or because it twists during movement because of natural asymmetry the horse will reflexively lower its back to escape the pressure/pain. The goal to have the horse engage its back or bring it up during riding is unachievable. The forward impulse and momentum is lost, defensive behaviour from the horse and not going on the bit, and a rider out of balance are just some of the other ramifications. This results in a frustrating experience for both horse and rider. The horse would like to respond to the aids the rider gives him, but the pressure on his reflex points inhibits his ability to do so. Think about your knee reflex: even if the doctor told you to try and refrain from kicking him when he taps your patella, you would anyway and there would be nothing you could consciously try to do about it. 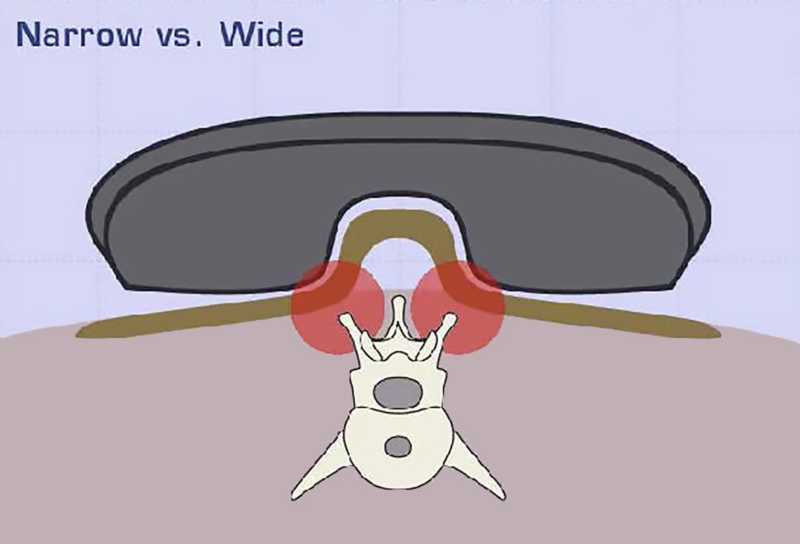 So it would make sense that a saddle which consistently puts pressure on the horse’s reflex points would be frustrating and eventually even damaging to the horse. Let’s say you give your horse the signal to move forward. However, if the tree angle is too wide, or the tree width is too narrow, and the saddletree is putting too much pressure on Cranial Nerve 11, then the horse cannot really comply. 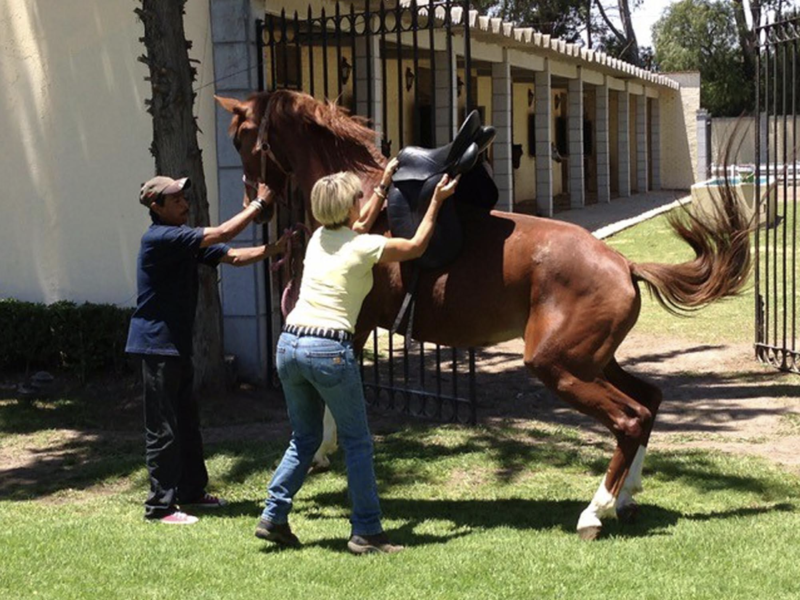 The reason for this is that the saddle hits a reflex point which hinders the ability to move. The actual instinctual reaction at this point is dropping the back, locking the shoulder, and rotating the pelvis (just like when the stallion bites the mare at this exact point during breeding!). Despite its best intentions, the horse instinctively will not, and more importantly, cannot move forward. He experiences the inner battle of wanting to obey his rider (“let’s go forward”) and his instincts (“stay still!”). A losing proposition for the horse – and possibly a physical and psychological pain for him, as the rider thinks that this immobility is simply stubbornness and starts using spurs and whip. Consider trying to drive your car briskly away, but your handbrake is still on. Tires will squeal, you can move only haltingly, and smoke is generated from the burning of the brake pads. That’s what your horse goes through, and what it feels like. Of course, there are occasionally genetic reasons for a horse not wanting to move forward – specifically HYPP (Hyperkalemic Periodic Paralysis) which occurs as a hereditary muscle disorder in quarter horses, or PSSM (Polysaccharide Storage Myopathy) which occurs in many other breeds – both of which can cause ‘tying up’ and seeming reluctance to move. Obviously, these potential causes need to be eliminated as well. Let’s listen a little more to what the horse is trying to tell us – horses can’t speak, but their behavior speaks volumes! Sometimes due diligence is necessary to determine the cause. For more information on fitting your saddle correctly, visit Saddlefit4Life or Schleese.